Are you looking to simultaneously attract and inform a group of potential customers as they walk by your office building? Or maybe you’re hoping to greet guests in a vibrant and visual way as they walk inside your building and up to reception? 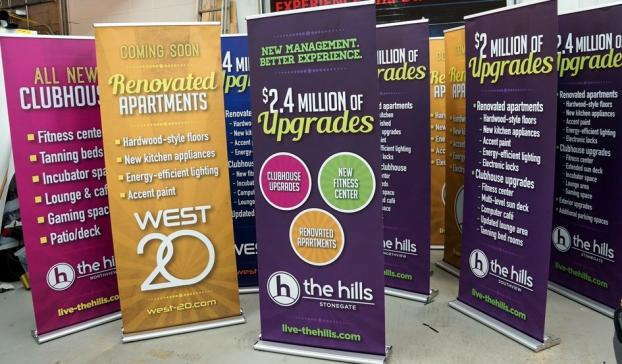 Whatever your reason, retractable banner stands can sit comfortably inside an office, outside on a patio or at a trade show or corporate event. 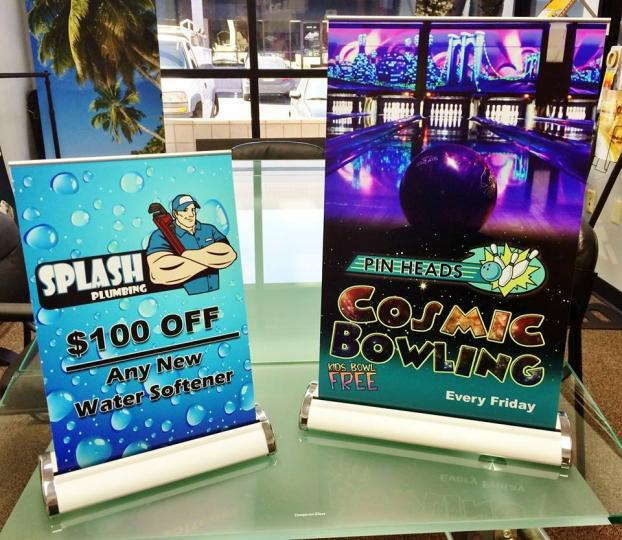 Custom retractable banners from SpeedPro Imaging Madison are designed to put your brand in full view of customers and onlookers. Whether they’re being persuaded to buy something or given a detailed list of benefits of choosing you as a business partner, your customers will be welcomed in a vivid, visual way. If you’re ready to add some new banners to your office and are located in the cities of Madison, Middleton or Sun Prairie, our studio is the perfect match for you. Reach out to us now, and our design team will begin discussing the details of your brand with you in a one-on-one consultation. With portability, durability and versatility in design, your retractable banner stand can stand the test of time and succeed daily. Similar to many products we offer at SpeedPro, retractable banners are made from a vinyl material. 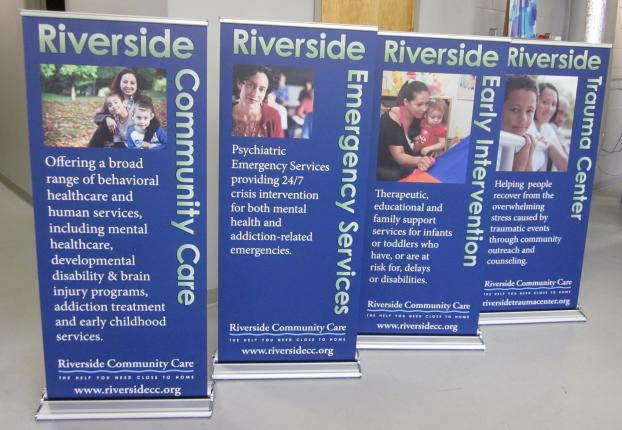 We deliver durable retractable banners paired with sturdy frames and ranging in their capabilities and features. The frame is also portable in that it folds down easily, fitting into a traveling carrying bag. You won’t have to stress anymore about how to move your banner from one event or showing to the next with these products. Fade-resistant inks also help with the banner’s durability — it will remain just as vibrant and good-looking as the day you received it. Move your banner around to the most visible area in your office or building to keep it in sight, whether that’s for new guests or returning customers. 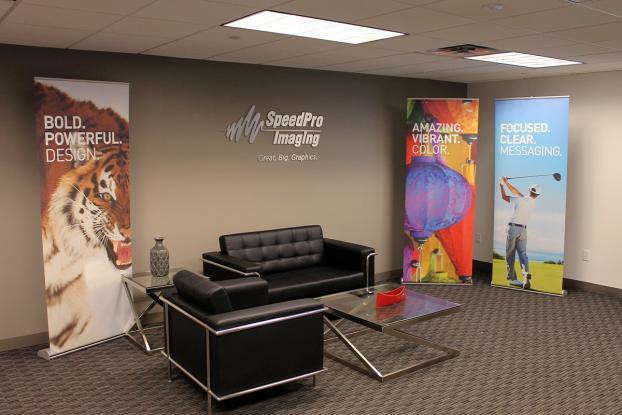 SpeedPro Imaging Madison offers you multiple options in terms of banner type as well as frame type. Choose from a sturdy and supportive metal frame with a whole bunch of knobs and gears, or go with a simple tabletop frame that adjusts for your presentation needs. Anything you want, we can customize and personalize for your business, and we’ll work quickly after our consultation to get you what you need and help you boost your marketing success. Are you ready to dress up and promote your brand with a vibrant, retractable feature? Stop by our studio or call us today to begin scheduling your consultation appointment. You can meet with a design team dedicated to bringing your visual dreams to life, so don’t wait. Exceptional quality - great pricing - outstanding service! Attentive customer service, fair pricing, quick turnaround. Speedpro did an excellent job on our yard signs for Mount Horeb High School Volleyball and Softball. They also made fantastic big baby heads for our volleyball Senior Night. They are fast, reliable, and have reasonable prices. Highly recommend their company! Great service! Friendly and efficient! Extraordinarily efficient with communications and performance of job.